Johor Bahru (popularly known as JB) is the charming capital of Johor state. It is a lively tourist center of the country with international-class hotels, modern shopping and entertainment complexes. There are always many tourists, relaxing here. They are mostly from Singapore, as, thanks to the difference in exchange rates, the recreations here is not expensive, comparing with their homeland. The city of Johor Bahru is filled with sun, friendly people and places of interest, which suit both adults and children. The best of them are the Legoland and Puteri Harbour Indoor Theme Park. Though located next to Legoland, this place is also a perfect amusement for the smallest kids and especially for Hello Kitty fans. Traveling down the city with your children would be much more comfortable, if you rent a car in Johor Bahru International Airport. 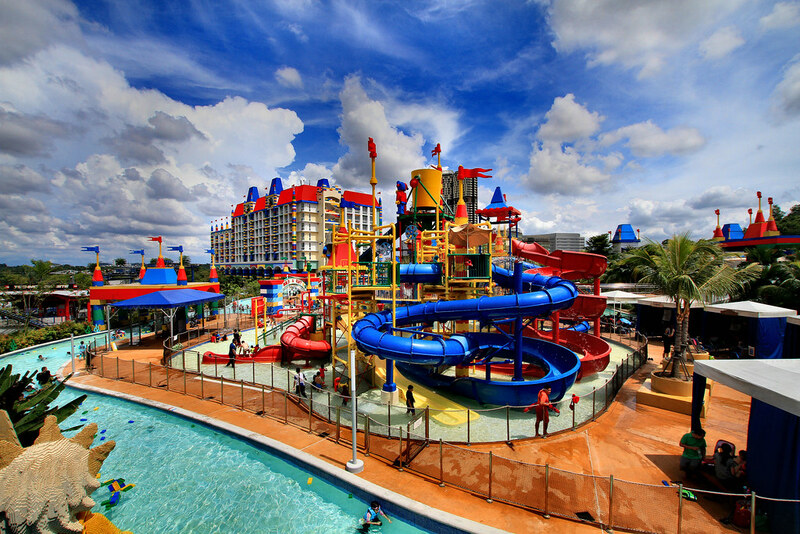 The world’s largest Legoland water park, which was opened in 2012, is situated in Malaysia. This is the first Legoland in Asia. On the area of ​​more than 3 million square meters, there are 100 rides, an aqua-zone with 3 million liters of water, 20 unique slides, 70 Lego-models and, of course, tons of multi-colored bricks for construction. One of the most fascinating amusements is Build-a-Raft-River, where visitors can independently build boats from not heavy Lego bricks and raft on them downstream the Lazy River. Many figures, design elements, and even the whole buildings are made from the Lego constructor. The rides are mainly designed for children, although a couple of them would suit adults as well. Together with the ticket, all comers get a map of the park, so you will not get lost. The park is divided into several thematic zones, where both the children and the grown-ups will find something interesting for them. You can ride down the park at the Lego-train, but you could spend a lot of time in the queue. There is also a nice park of miniatures made of Lego bricks. There you can find miniatures of real sights of different cities, which simply amaze with its realism. When you are looking at the photographs of these miniatures, you need to look closely to see that all of them are made from Lego. In addition, all the sights are signed, so walking around the park you can even explore the most famous buildings of the world! The best entertainment for the smallest kids here are funny figurines of animals, houses and slippery dips made from Lego. In some places of the park, you may find periodic recreational activities. In addition, the visitors may buy ‘the LEGOLAND Annual Pass’ and enjoy 12 months of rides, special events and exclusive discounts. The entrance to the roller coaster in the shape of a dragon is very impressive. The park is full of various cafes and restaurants, shops with souvenirs, places for recreation. There is even a hotel building nearby, where you can stay if you want. The park will be interesting not only for those who have children, but also for those, who like everything unusual. At the Puteri Harbour, there is a Theme Park dedicated to Thomas the Train (the 3rd floor), and to such cartoon characters, like Bob the Builder, Pingu, Barney and Angelina Ballerina (the 2nd floor). It best suits kids, whose age is 3-5 years. 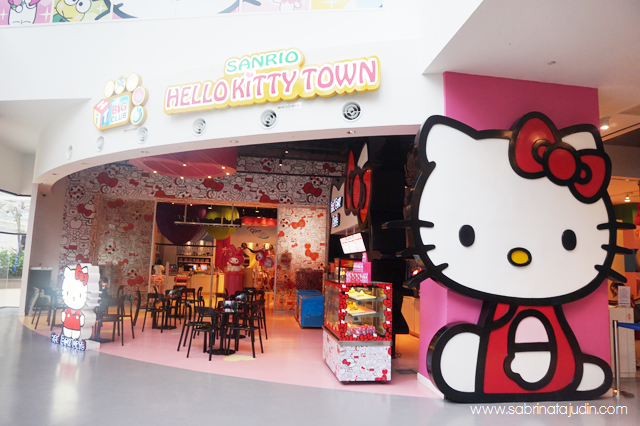 You may buy a combo ticket and visit The Hello Kitty Town as well, which is at the first floor. THE DANCE CLASS BY ANGELINA BALLERINA, where each little girl gets ears and a pink tutu like Angelina Ballerina has. Here, girls are taught to dance like ballerinas. THE ‘BUILD IT ZONE’, where children help Bob the Builder to make a house. PINGU THE PENGUIN, who poses for the visitors, standing right outside his igloo. A LITTLE HOUSE OF BARNEY THE DINOSAUR, which is almost the same, as the one from the TV shows with Barney. RIDING THOMAS (THE TRAIN). Because this ride is extremely popular, you may spend a lot of time at the queue. If you don’t want to wait long, visit this place as soon as the park opens or take another rides, for example Harold’s Helitours ride, Bertie the Bus ride and the Windmill ride. WATCHING THE LIVE PERFORMANCE BY BARNEY THE TRAIN AND FRIENDS, where the little kids’ favourite songs are sung. There is a parking at the theme park, a small cafe with a kid’s menu and a themed restaurant. Situated at the same building, on the first floor, this place is totally dedicated to Hello Kitty. The rides, shows and games would best suit the kids from the age of two (especially for girls). The park is interactive- you may watch Hello Kitty live on-stage, explore her home and ride the fun. From October 2015, there is an additional new entertainment program “Hello Kitty in Oz: The Lost Chapter”. It shows the adventures of Hello Kitty at the magical Land of Oz, which needs her help at saving it from the disappearance. Hello Kitty together with the Tin Man, the Scarecrow and the Cowardly Lion are waiting for the little boys and girls to help them save Oz!